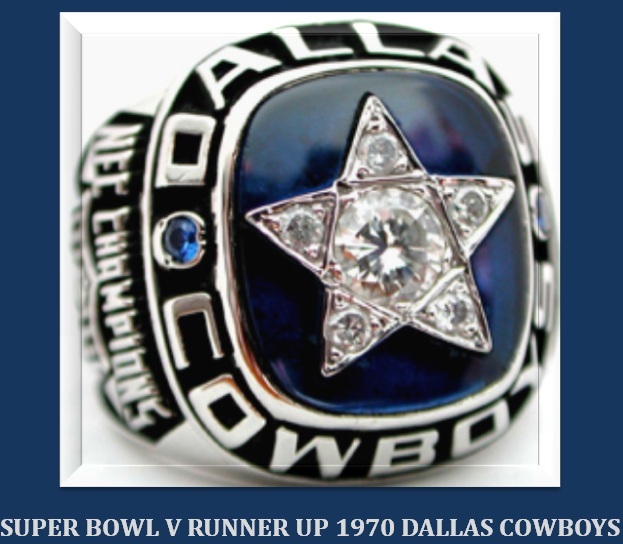 This entry was posted in Ring of Champions and tagged 1970 Dallas Cowboys, 1st NFC Champion, Bob Lilly, Chuck Howley, Conference championship ring, Craig Morton, football, Gil Brandt, Next Year's Champions, NFL, NFL History, Super Bowl V, The Doomsday Defense, Tom Landry. Bookmark the permalink. I guess Morton didn’t get a raise either.